ESA’s LISA Pathfinder was provided with an on-target orbital delivery by its Vega launch vehicle, enabling the craft to depart Low Earth Orbit in the coming days in order to begin its departure of Earth to head towards the L1 Earth-Sun Lagrange Point where the spacecraft is expected to arrive in late January. 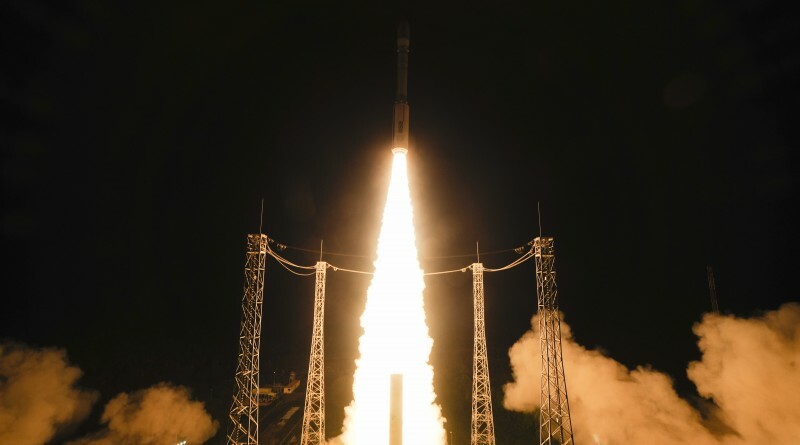 Vega blasted off from the ZLV launch site at the Guiana Space Center at 4:04:00 UTC on Thursday, climbing under the raw power of its P80 first stage that delivered a total liftoff thrust of 231 metric-ton force – making for a quick initial ascent. The rocket swung to the east to begin heading towards an equatorial orbit, pushing through the sound barrier just over half a minute into the mission. The large solid rocket motor on the first stage burned out one minute and 50 seconds into the flight and handed over to Zefiro23 that fired for a little over 70 seconds followed by a 112-second burn of the Zefiro-9 stage during which the protective payload fairing separated, exposing the LISA Pathfinder spacecraft. After six and a half minutes of operation, the three solid rocket motors of Vega had done their job and the AVUM upper stage was separated into a sub-orbital trajectory. 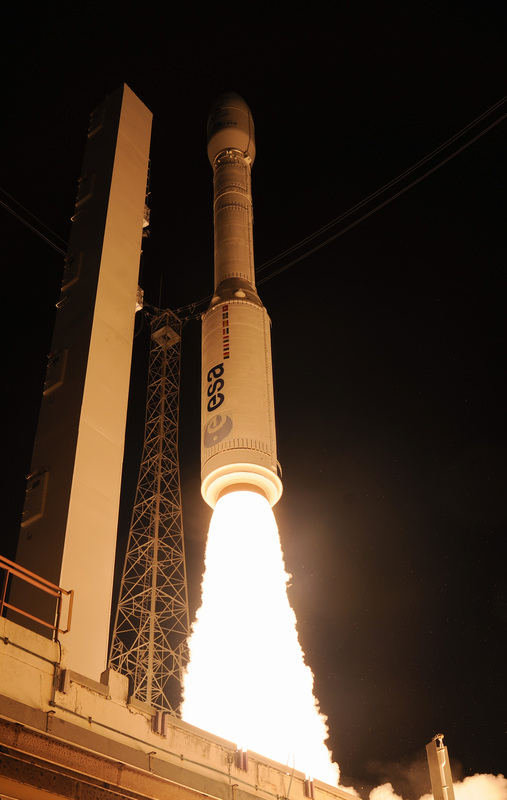 AVUM ignited its RD-869 engine seven and a half minutes into the flight for a burn of just over eight minutes to inject the stack into an orbit of around 200 by 1,165 Kilometers. This initial burn was followed by a long coast phase of one hour and 25 minutes so that the vehicle could make one complete orbit, passing apogee and perigee to make the second burn just after the perigee passage. The 94-second burn occurred over South America, aiming for an orbit of 207 by 1,540 Kilometers, inclined 5.96° to set the stage for the separation of the LISA Pathfinder Spacecraft one hour and 45 minutes after liftoff. Immediately after separation, LPF initiated communications with the Kourou Ground Station and telemetry from the 1,906-Kilogram spacecraft was evaluated by the Mission Control Team at the European Space Operations Center in Germany. 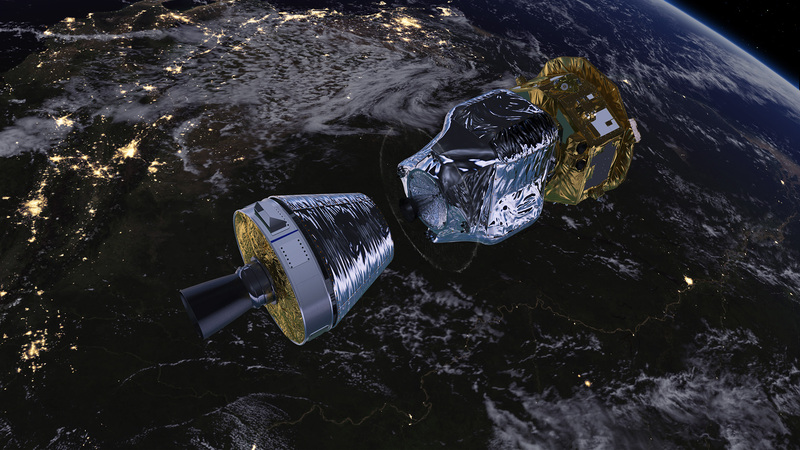 A 23-minute sequence was executed by the spacecraft, entering a good sun-pointing orientation, completing health polls and priming its Propulsion Module. At ESOC, teams headed into more detailed systems testing as part of a three-day Launch and Early Operations Phase. 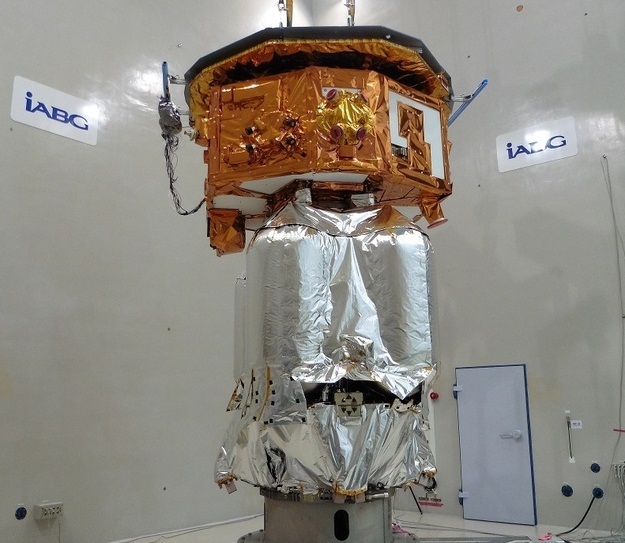 LISA Pathfinder is set for a test burn of its 400-Newton Main Engine on the third day of the mission to allow the Mission Team to characterize the performance of the engine in order to plan all subsequent propulsive maneuvers. 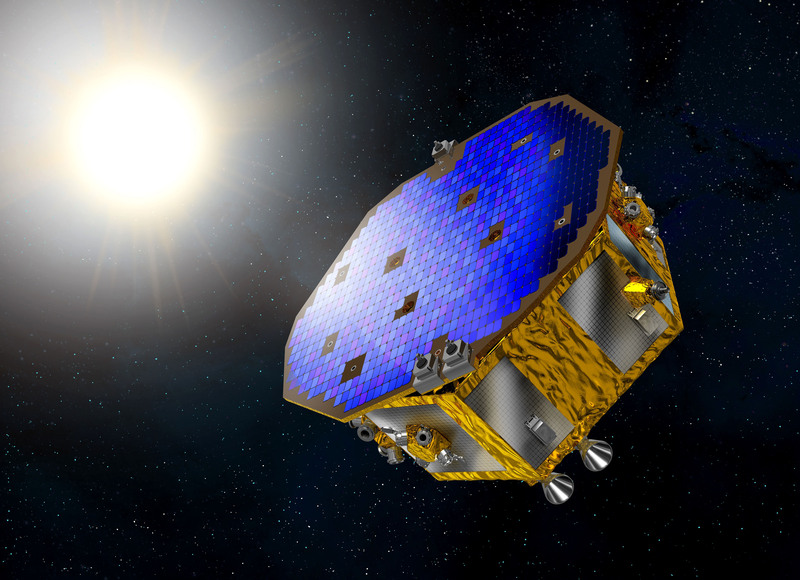 Over the course of two weeks, the LISA Pathfinder will conduct six apogee-raising maneuvers, gradually raising its orbit to get set for its departure of Earth into an L1 transfer orbit. 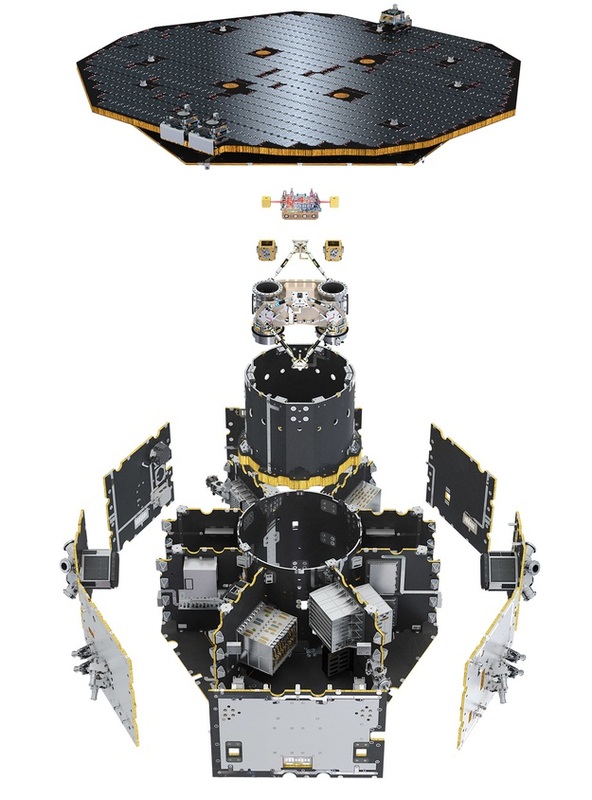 Heading to L1, located 1.5 million Kilometers from Earth on the Earth-Sun axis, LPF will undergo checkouts of its instruments to hit the ground running and begin its technical demonstration shortly after arriving at L1 in late January. 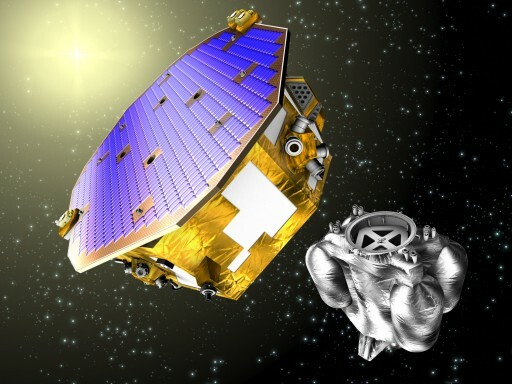 The LISA Pathfinder is testing out cutting edge technology for the detection of gravitational waves, ripples in space-time predicted as part of Einstein’s Theory of General Relativity. To measure gravitational waves, ESA plans to deploy a constellation of three spacecraft flying in a triangle with one-million-Kilometer side lengths. The spacecraft host test masses that are shielded from any influences except for that of gravity, meaning that a precise measurement of the distance between the masses can reveal gravitational perturbations, even those caused by gravitational waves traveling at the speed of light. 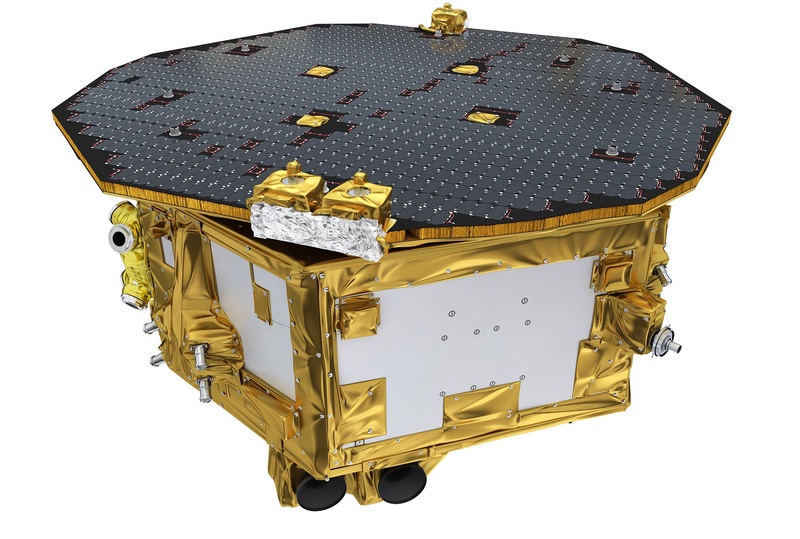 The eLISA mission is currently looking at a launch date in the 2030s, pending the successful test of the test mass system on the LISA Pathfinder that encompasses the sensing of test mass position, the most accurate interferometric distance measurement along one sensitive axis, and the use of a pair of Micro-Propulsion Systems to counteract any non-gravitational forces such as solar pressure. LISA Pathfinder is set for a mission of at least six months.